Welcome Pan American Papers, Inc. is a leading paper distributor, supplying a wide variety of printing and converting paper products to publishers, commercial printers, converters, distributors, and packaging manufacturers domestic and all over the world. We have been in the business for over 30 years and have a proven track record. If you are in need of a reliable source for top quality, competitively priced paper products, then look no further. Our close relationship with the paper mills allow us to provide any standard paper specification directly from the manufacturer. Above All We are committed to providing the highest level of service to our customers. This, coupled with superior products and extremely competitive prices, has helped Pan American become a leading supplier to the graphic arts and converting industries. it is our goal to keep the ordering process simple, therefore reducing downtime and ultimately keeping your business profitable. With our new quoting tool it's easy to request pricing on products that we carry. 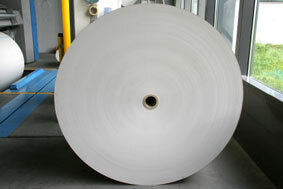 We offer a wide range of wholesale paper products such as Newsprint, Hi-Brite, Light Weight Coated (LWC), Coated Gloss, etc.